Everything you need for a no-stress, intimate wedding in a breathtaking California location. 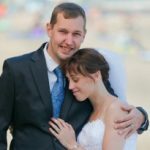 Where is the best place to get married in California? Hands down, it’s along the sunny California coast! 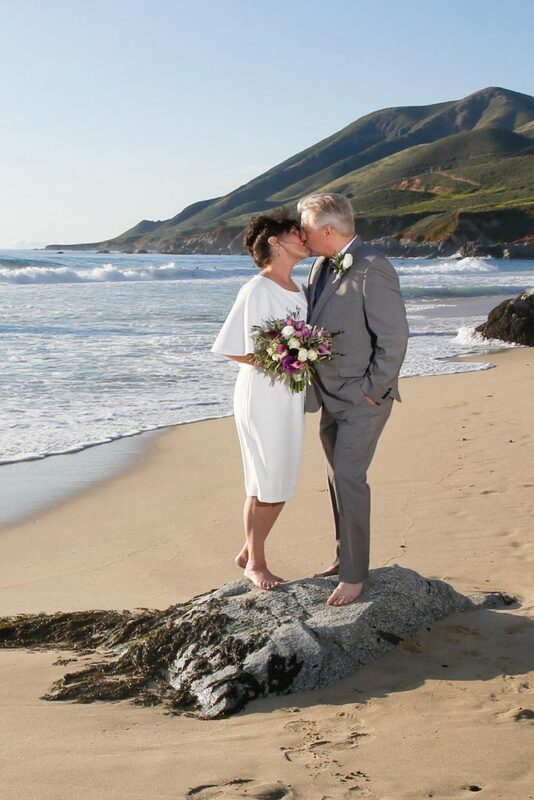 From San Francisco to Big Sur, we offer elopement packages with ocean, city, garden or wooded views that will take your breath away! We’ll help you put together the intimate wedding day of your dreams. And we’ll keep you smiling through the whole process. We promise! …white sand beaches…towering redwoods…dramatic cliffs overlooking the ocean…just the two of you (maybe a few family members–hey, this is your fantasy–put in whomever you like!). A wedding that is relaxed–as casual or elegant as you want it to be. Put away the Xanax–you won’t need it for your California wedding experience! This is gonna be fun! Getting married doesn’t have to be about months (or years) of planning, accommodating everyone’s wishes except your own, cramming in wedding planning time amid the rest of your busy lives, getting stressed to the max and spending a fortune. We’re here to help you tell a different wedding story…a story of ease, joy and lots of smiles as you begin your married life in an atmosphere of unparalleled beauty, focused solely on the two of you. 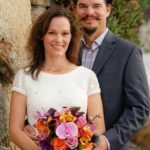 Be it an elopement for two on the beach in Carmel, an intimate rooftop wedding with the San Francisco skyline as your backdrop, a family-only wedding in front of a picturesque Santa Cruz lighthouse or saying “I do” nestled among the redwoods of Big Sur, we’ll help you bring your California elopement vision to reality with ease and grace. Nothing beats the jaw-dropping views of the Big Sur coastline. For many couples, Big Sur is the only choice for their intimate wedding. On central California's shore, sunlight dancing on the Pacific, powdery sand, dramatic rock formations, lush parks are our outdoor "chapels." Whether you want to be married on the beach, in an intimate garden gazebo, or prefer a gorgeous Bay Area redwood setting San Francisco has it covered. Santa Cruz elopements have a style that is uniquely their own. Known for our balmy climate, breathtaking coastline, and redwood forests. What's Included in Our Packages? Our packages include anything you want that's elopement wedding-related. 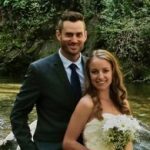 Our most popular California elopement packages include the items below, but we also assist with finding lodging, restaurants, transportation, childcare, pet-sitting, recreational activities as well as helping you set up unique ceremony environments (hot air balloons, hiking weddings, adventure elopements, etc.) Just ask! Stunning photography to capture your special day. Professional wedding officiants performing ceremonies that reflect your personal love story. Gorgeous bouquets & boutonnieres in your choice of flowers and colors. Our professional stylists will come to you to ensure you look your absolute best. A professionally made highlight video of your elopement wedding day creates a treasured memory. All wedding packages include full coordination services. You’ll be assigned your own wedding coordinator who will serve as your go to person from start to finish. Hi Maureen! I just wanted to send you a huge thanks for arranging everything for us today! Everything was perfect and exactly what we both wanted. Thanks for making it all happen easily and stress-free. The location was gorgeous and our officiant was terrific. Our photographer was fun and professional and made the photo session a great time for all of us. Thank you! Thank you! Thank You! Everything was perfect. We couldn’t have asked for better with our officiant and photographer. Thank you for your service and making our wedding happen! We are SO Glad we chose to use your services. Everything was perfect! And everyone involved was so professional and so personal. Nothing could have been done any better! Thank you for making our dream elopement a beautiful reality. 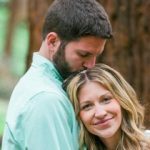 Why choose us for your California elopement? No need to spend hours (days!) 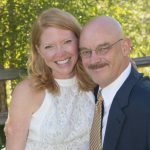 looking for quality wedding pros that specialize in intimate California weddings. We'll give you access to our network of hand-picked wedding professionals who are passionate about elopement weddings and deliver the highest quality services. 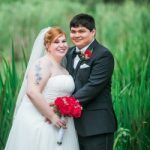 Your personal elopement wedding coordinator will assist you in finding the perfect wedding professionals, coordinate all the details of your elopement package and serve as your go-to person right up to the day of your wedding. We'll help you find the perfect-for-you place to elope. We've put together a list of our favorite outdoor elopement venues complete with descriptions, photos, videos and permit requirements. We include this list as part of every package. We offer a free no-strings phone consultation to get a feel for what you're envisioning for your elopement wedding, answer your questions and explain how we can help make your wedding vision a reality.